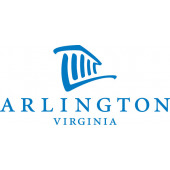 Arlington, Virginia, is part of the Washington-Arlington-Alexandria metropolitan division. The area has the tenth-highest population of registered nurses (RNs) among U.S. metro areas. Because the nursing community is sizable in Virginia, aspiring nurses will find a number of top schools for nursing that offer a variety of unique degree pathways. For example, Marymount University offers three ways to secure a bachelor of science in nursing (BSN) degree: a traditional four-year BSN, an accelerated BSN, and a hybrid online RN-to-BSN program. Chamberlain College of Nursing offers a military-to-BSN option. Though the RN community represents the largest nurse population in Arlington, Virginia, some nurses choose to pursue other roles such as nurse practitioner (NP). Because this is a more advanced role, NPs must have specialized graduate education. After passing the National Council Licensure Examination for Registered Nurses (NCLEX-RN), NPs will earn a master of science in nursing (MSN), doctor of nursing practice (DNP), or doctor of philosophy (PhD) in nursing while specializing in a particular area. Common nurse practitioner focal areas include cardiology, family practice, and gerontology. RNs must earn a diploma in nursing, an associate’s degree in nursing (ADN), or a BSN, and they must pass the NCLEX-RN national licensure examination. A valid license is required to practice in all fifty states, including Virginia. Graduates are prepared to seek positions at major regional hospitals and healthcare centers such as Virginia Hospital Center, ALSAC / St. Jude Children's Research Hospital, and Inova Alexandria Hospital. Nurse practitioners in Arlington, Virginia, earn an average of $102,720 per year. High performers can earn $118,000-$129,000 per year. Registered nurses earn an average of $77,820 annually, with high performers earning $91,000-$102,000 per year. To help aspiring nurses launch their nursing careers, we’ve included below a list of accredited nursing schools in Arlington, Virginia.